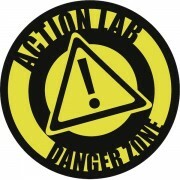 Action Lab: Danger Zone have released a preview of this weeks digital comic! MAKING YOU DELICIOUS MEALS… ONE GOOD DINOSAUR AT A TIME! Nate gets a hunting partner. Starlee wonders why the bill for meat is so low. Maribel’s mental state takes a turn for the worse. The Sheriff starts to dig up Tony’s past. An actual use for T-Rex arms is revealed! Featuring a “Happy Meal” variant cover by award-winning, Native American artist, Jeffrey Veregge (Red Wolf)! Limited to 1500 copies. Get These Star Wars Digital Comics In This Sale!